Please note: If you wish to make a few bags from Charlie’s Aunt sewing patterns or books to sell, please read the rules in the "additional information" section of our policies page. 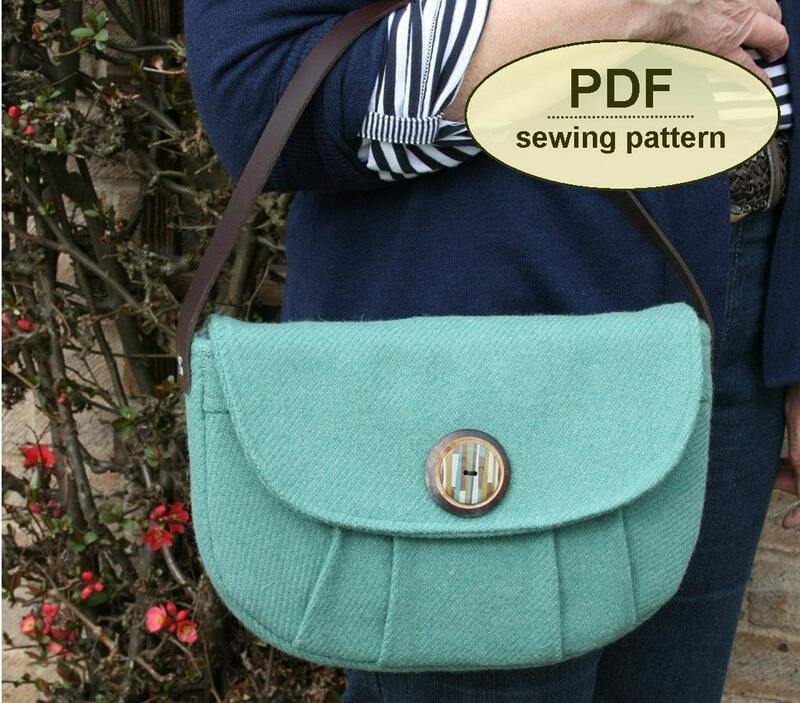 Named after the Suffolk village where my father grew up during WWII, the Boxford Clutch Bags PDF sewing pattern offers a pair of clutch bags typical of the styles of the 1940s. View 1 has pleats at the lower front and a simple rounded flap, characteristic of the period. View 2 features a shaped flap and a front pocket influenced by the lines of a saddle. My grandfather was a horseman on a farm in Boxford throughout the war years. Both styles can be made with a short purchased handle. 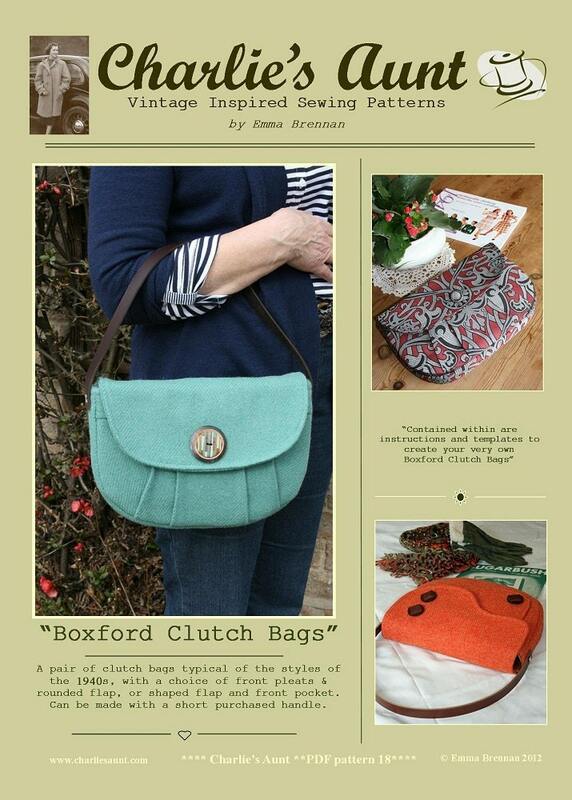 The Boxford Clutch Bags PDF pattern has 16 pages – 10 pages including photographs, detailed step-by-step instructions and illustrations, plus 6 pages of full sized pattern templates which you must print on A4 or letter paper and cut out. All templates are actual size but two of the pieces are too big to fit on one sheet so you will have to tape them together after you have cut them out. Instructions for this are clear. Please note, this an INSTANT DOWNLOAD PDF pattern and not a paper pattern. Once your payment has been accepted, a 'download' button will appear and you will be able to download the pattern straight away. If you have any problems accessing the pattern, please convo us and we will email it to you instead. Please remember to include your email address. We endeavour to get PDF patterns emailed to your specified email address within 24 hours of payment. Please check our policies for copyright information. All orders must be paid for using Paypal/credit card. Please pay at time of purchase. Contact us if you experience a problem with payment. If there is no payment or contact made within 3 days of purchase, your order will be cancelled and the item re-listed. There are no refunds on PDF or paper patterns because of the nature of the product. All orders must be paid for using Paypal or credit card. Please pay at time of purchase. Contact us if you experience a problem with payment. If there is no payment or contact within 3 days of purchase, your order will be cancelled and the item re-listed. PayPal is the best way to pay because it allows you to pay with a credit card without signing up for an account. We also now accept direct credit card payments. 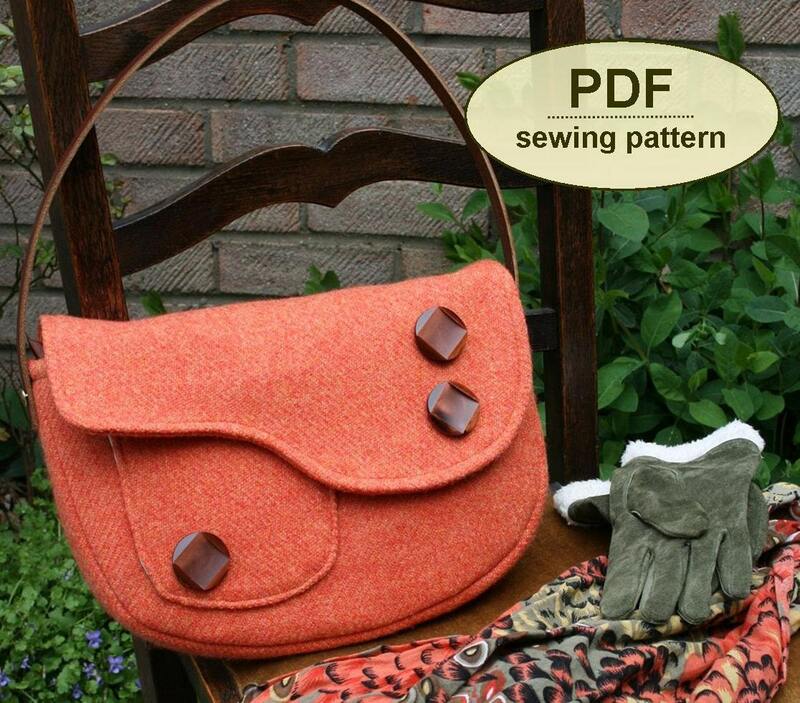 There are no refunds on PDF patterns, paper patterns and kits because of the nature of the products. Please choose carefully. * Make no more than 10 bags in a year to sell from any one Charlie’s Aunt pattern, and up to a MAXIMUM of 40 bags in total from a combination of any of my patterns in a year. Please don’t make any more than this – I have more than 20 different sewing patterns and it simply wouldn't be fair to buy 15 and make 10 of each, because you would be adopting my entire concept that way. If you intend to make any more than 40 in a year, this would be deemed a big business and would be totally against the rules. Please respect this! * Write on each swing ticket and in all Etsy/online descriptions the following words: “This bag was made using a Charlie’s Aunt sewing pattern designed by Emma Brennan”. A link to my Etsy shop would also be greatly appreciated. Please don’t put your own designer labels in my designs – that isn’t fair! * Please have the courtesy to drop me a line to ask if you can make the bags to sell. This way I can keep track of who’s doing what and I can hopefully persuade you to share photos of the bags you make on the Charlie’s Aunt Facebook site. * All items for sale must be handmade by you. Contracting with others to mass produce Charlie’s Aunt designs is STRICTLY PROHIBITED. * Distribution of the pattern pieces and corresponding instructions is STRICTLY PROHIBITED. Please do not copy my patterns in any way. The words, diagrams and pictures are covered by copyright and I will pursue anyone who infringes this. * Finally, please be respectful my designs and policies. 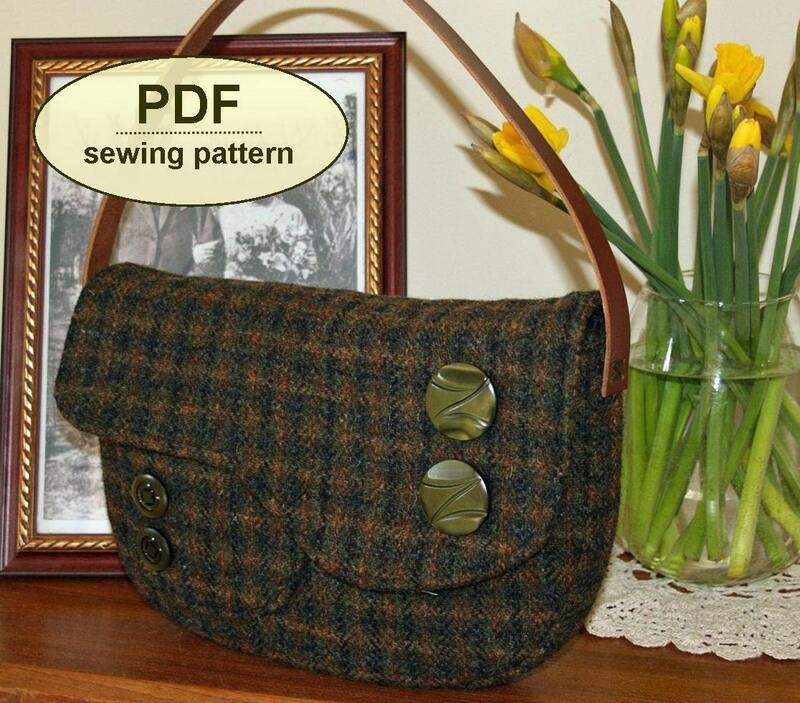 Being allowed to make a limited number of bags from my patterns to sell is a privilege and not a right. 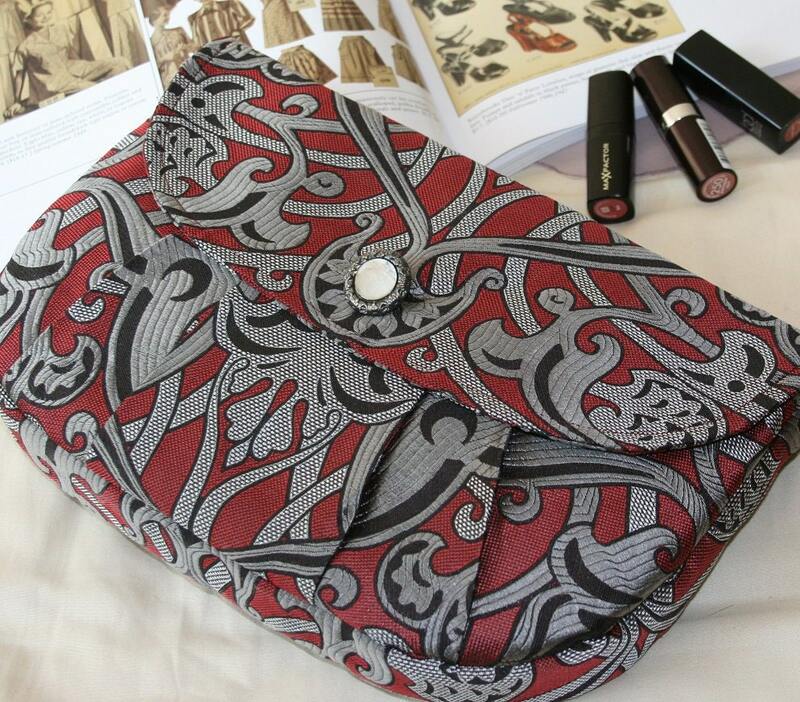 The PDF patterns contain instructions, illustrations, photographs and pattern templates for one style of bag, purse or fashion accessory. The templates are full size and can be printed on A4 paper, but some templates need to be joined together with tape because they are too big to fit on one page. All patterns contain detailed instructions on how to cut and join pattern templates. When you complete an order in our Etsy shop, you will be asked for your name, address, and email address. We require your name and address for delivering your order if it is not a PDF pattern and your email address to email you a copy of your order and let you know your order has been dispatched or is available to download. When you reach checkout, you will be given the choice of paying by PayPal or by credit/debit card. We do not see or have access to this information as it is processed by a secure banking merchant. If you have a PayPal account, all of your information is already held by PayPal. The information recorded by Etsy and accessible by us is name, address and an email address plus your method of payment (ie card or PayPal, but not the details). We also record what you ordered and how much you paid. This information is deleted after 36 months. We never pass information to any other business and never have done. We do not contact you directly by email for marketing purposes and only get in touch if you have requested something from us. It is necessary for us to ensure that you give consent to the above use of your data by ticking the correct boxes at checkout.